QuietTime Piano Silent System - A. Hanna & Sons Pianos Ltd.
QuietTime Piano Disc Silent Systems allow you to play your acoustic piano silently, using headphones. 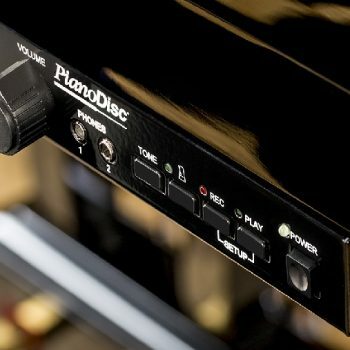 When the Piano Disc Player System is in operation, the hammers will no longer hit the strings and instead, a highly sophisticated sensor-technology captures all movements of the keys and sends them to the digital tone module. Therefore you can fully enjoy playing your acoustic piano at unsociable hours, without disturbing other family members or neighbours, or for teaching purposes as two sets of headphones can be plugged in. 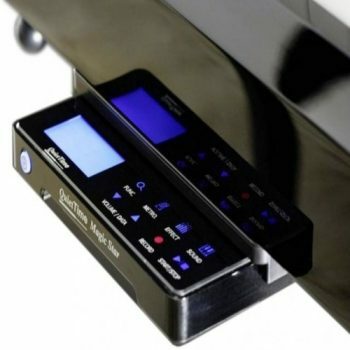 Furthermore, Piano Disc Player Systems allow you to record yourself, taking your performance away with you, as well as allowing you to capture your favourite performances, or even perhaps works in progress, and then upload to your laptop or idevice. Crucially, a Piano Disc Player System allows you to enjoy the same sensations, touch, and feel, and play with the same passion and intensity on your acoustic piano, without the fear of making noise. A Piano Disc Player System truly is an amazing, and innovative, piece of modern day piano technology. 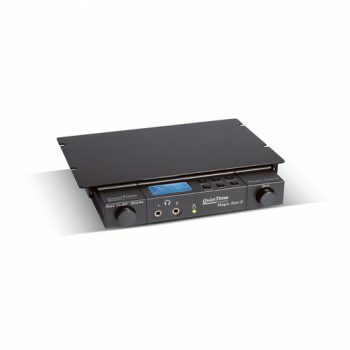 Here at A. Hanna & Sons, we are proud to stock a range of Piano Disc Player Systems. Piano Disc manufacture what we believe to be the finest Piano Silent Systems on the planet. We believe them to be excellent quality, value for money, and a fantastic option for the modern day pianist. The new, improved Magic Star Silent System, boasting increased polyphony, a touch less key sensor system, and a new pedal adjustment system in addition to an new and improved compact casing design. Piano Disc’s V5 Magic Star system has over the years garnered a fearsome reputation for quality and functionality and it is now available at a more economical price! Piano Disc’s silent system geared towards professional recording, now compatible with new user friendly and free iOS app.